The Steels Creek Stitchers meet each Tuesday afternoon 1.30 – 4 pm at the Steels Creek Community Centre. All welcome. Note: sessions will re-commence on 31st January 2017. 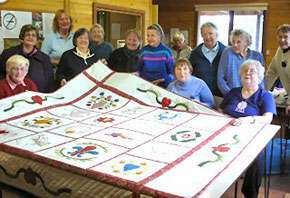 The Stitchers are a dedicated group who enjoy the art of craft – be it knitting, quilting, sewing or embroidery. 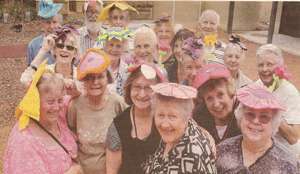 The group was started in 1993 and has 24 members (12 regulars). As well as meeting weekly to work on their own projects, special-interest workshops are also organised from time to time. They’re also a community-minded group, often working together to make projects to be given as gifts or to raise funds for charity. 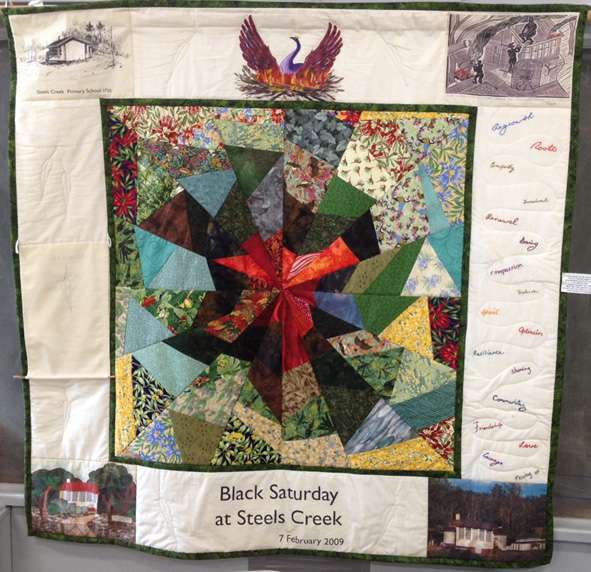 In 2009, they donated a number of quilts to the survivors of the Victorian Bushfires. 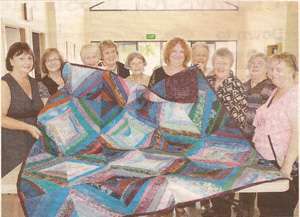 Each year, Stitchers sponsors a Biggest Morning Tea, with proceeds going to the Cancer Council. In 2013, they presented a quilt to former Councillor Jeanette McCrae, as a thank you for all her work on behalf of our community. 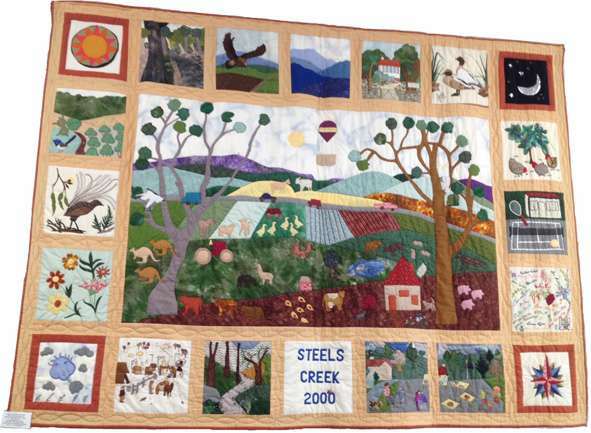 The Stitchers are also responsible for creating the two beautiful quilts that adorn the Vera Adams room at the Steels Creek Community Centre – one commemorating the second millenium, the other a memorial to those we lost from our community in the 2009 bushfires.